Doing Home fitness is a practice that is becoming common today. Many people are embarking every day motivated by different goals, whether to lose weight, stay in shape, or even improve your physical conditions, cardio or muscles, it is very easy and convenient to start home fitness! If you want to start home fitness too, let me give you some tips first so that you dont start off on the wrong foot. Lets first take a look at what are the advantages of doing home fitness compared to conventional fitness clubs. Time saving: If you are like me and you work all day and potentially until late, there is not much time left in the evening to do everything we would like to do, whether it is to take care of the bills or other documents that continuously land in our mailboxes, hanging out with friends, cooking, preparing the next day or whatever. Financial savings: It may not be an argument for everyone, but it is true that enrolling in a gym is quite expensive. 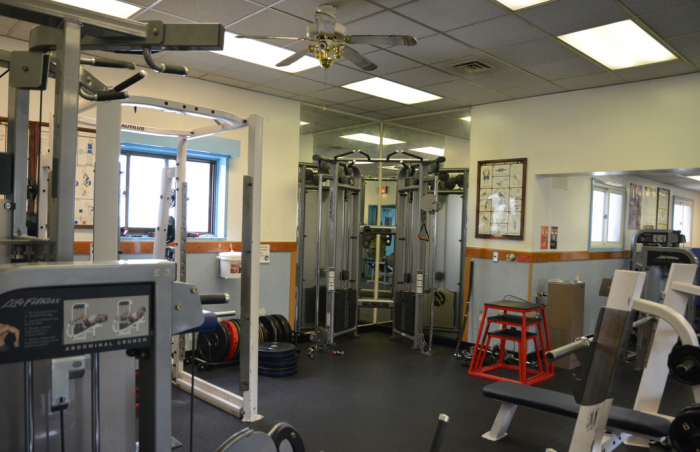 It cost at least $400 for a one-year subscription to a cheap gym and often more if you want a quality club with good facilities and a low frequentation rate. Doing home fitness is very economical because the minimum budget is $0! One can very well do home fitness by doing only bodyweight exercises although having a few equipment is nice. For reserved people: It may be embarrassing to do sports in front of strangers, its not always easy to bear the gaze of others when we are constantly reducing the weight load when working machines that we must share with bodybuilders. It is also very inconvenient to run on a treadmill placed at the entrance of the room and feel upon us the look of every single person entering or leaving the gym. Home fitness is done in the comfort and privacy of our own apartment or house, sheltered from heavy looks. If you’ve ever found yourself in one of those categories, Home fitness is for your! Some people will try to find excuses, I hear many people saying that they could not practice home fitness because their apartment is too small or because they wouldnt be able to get enough motivation. Personally, I find it much easier to get motivated to do a quick fitness session at home than to get motivated to go for a big session at the gym, because nobody goes to the gym for 20 minutes while I am almost doing daily quick tabata HIIT cardio workouts at home that do not exceed 30 minutes. And as regard to the minimum space required, a rectangle measuring 2 meters by 1 meter is big enough, it is certainly nice to have more space but honestly, how much space do you use at the gym? Living in a 50 squared meters 1 bedroom flat, I just have to move a little the couch and I have more space than I need to do my exercises. I also advise you to purchase some dumbbells, because even if you are a woman, exercises with weights are important and help for weight loss without necessarily increasing muscle volume. They will help in strengthening the muscles for a more tonic appearance. I prefer dumbbells to bars for their practicality, plus they are easy to put away, they also allow a more secure workout because you wont find yourself stuck under a too heavy bar on the shoulders or chest. If you dont like dumbbells, an alternative solution is the resistance band. Easier to put away, absolutely no risk of breaking the tiles when dropping it, it will allow you to add some resistance to your exercises for maximum efficiency. It can also be used to gain flexibility by using it for your stretches. The medicine ball is far from necessary. I add it here because I find it fun to use and it adds a playful side to the exercises. But you can start without it. Thats it for the equipment, all this will cost you around sixty dollars, this is nothing compared to an annual subscription fare, especially that you can use this equipment for years! I personally use those four equipments, I use dumbbells for muscle building workouts during my weight training and the resistance band during my tabata cardio exercises where dumbbells are less suitable since the exercices change quickly to work different muscles each time, so the position changes as well which make it difficult for the dumbbell. Once you are all set with your equipment, its only a matter of starting doing home fitness! So where to start? What are the exercises that one can easily make at home? Well it depends on your goals as you would have probably guessed! If your goal is to lose weight, I suggest doing cardiovascular workouts that will spend lots of calories and burn that nasty fat that have been stored around your waist for many years now. But beware ! I am not advising you to go jogging, jogging or running is much less effective than HIIT training (high intensity interval training). Everyone knows that jogging helps losing weight, but the problem is that you do not only lose fat but also muscle mass! Have you ever noticed that marathon runners are extremely lean but look weak while sprinters have a good muscular athletic build? It has been proved that HIIT workouts allow you to burn more calories through the afterburn effect: a high intensity workout puts your metabolism into a warrior mode for up to 48 hours! So you continue to burn calories while you sleep! Studies have shown that a HIIT training like the 4 minutes tabata protocol spends as much calories as a 30 minutes jogging. Home Gym vs Gym Membership by Terrys Fabrics. If that isnt time saving! And of course if you want to lose weight, a healthy balanced diet is 80% of the work, but dont be afraid, you can eat healthy and still enjoy it! Do not hesitate to consult the recipes sections on DailyCrossFit. If your goal is rather to gain more muscle mass, you will then have to focus on strength exercises. But bodybuilding is vast, some will want to gain volume and create 10 pounds of muscle mass in a few months, in this case a program like german volume training will be appropriate. Others will rather want to keep the same volume but go for more muscle definition, they will then have to alternate the cardio exercises with weight training done with very heavy weights. Learn more in the section dedicated to bodybuilding.